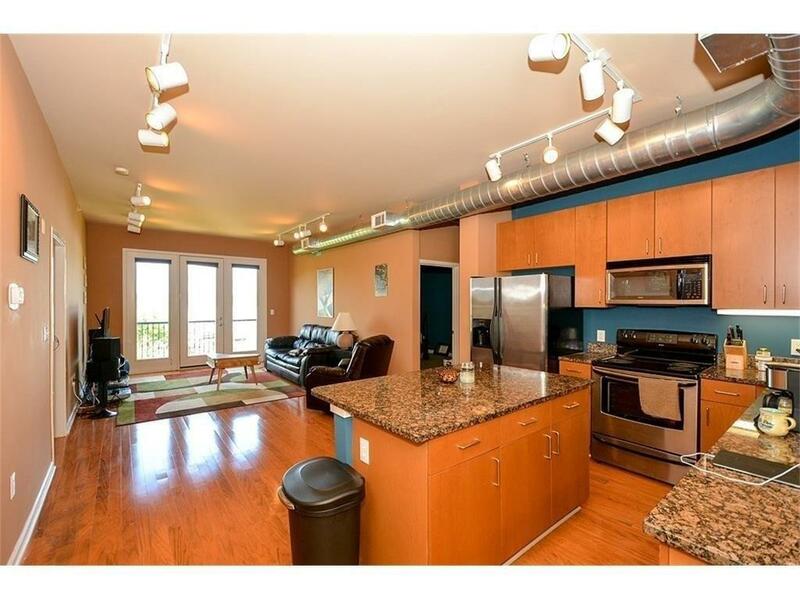 FANTASTIC LOFT, 2 BR FLOOR PLAN, ON 2ND FLOOR! KITCHEN WITH GRANITE COUNTERTOPS & STAINLESS STEEL APPLIANCES, REFRIGERATOR, WASHER & DRYER TO REMAIN. CLAIRMONT FLOOR PLAN, SEE PHOTOS FOR COPY OF PLAN. FABULOUS AMENITIES CONSIST OF: HEATED POOL, COVERED PARKING, MODERN FITNESS CENTER, ROOFTOP DECK WITH TENNIS COURTS, CAFE WITH BILLIARDS TABLE, 3 LUSH INTERIOR COURTYARDS WITH WATER FEATURES, ONSITE MANAGEMENT COMPANY. ACROSS THE STREET FROM MARTA. 2 ASSIGNED COVERED PARKING SPACES. PHOTOS DISPLAYED ARE STOCK; PAINT COLORS MAY VARY. Directions: I-285 South On Peachtree Industrial - Left On Miller, Lofts On Left. Located At 5300 Peachtree Street At The Intersection Of Miller Drive, Across From Chamblee Marta Station.